A new biography of the seminal twentieth-century historian and thinker who pioneered the study of Jewish mysticism and profoundly influenced the Zionist movement. 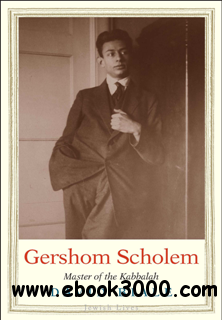 Gershom Scholem (1897-1982) was perhaps the foremost Jewish intellectual of the twentieth century. Pioneering the study of Jewish mysticism as a legitimate academic discipline, he overturned the rationalist bias of his predecessors and revealed an extraordinary world of myth and messianism. In his youth, he rebelled against the assimilationist culture of his parents and embraced Zionism as the vehicle for the renewal of Judaism in a secular age. He moved to Palestine in 1923 and participated in the creation of the Hebrew University, where he was a towering figure for nearly seventy years. David Biale traces Scholem's tumultuous life of political activism and cultural criticism, including his falling-out with Hannah Arendt over the Eichmann trial. Mining a rich trove of diaries, letters, and other writings, Biale shows that his subject's inner life illuminates his most important writings. Scholem emerges as a passionately engaged man of his times-a period that encompassed two world wars, the rise of Nazism, and the Holocaust.